Cinco Jotas Picnic Basket. The best products. Cinco Jotas Hamper with 26 80 g packets of ham, a plate and a cloth napkin (GIFT PACK). Enjoy a unique escape with this hamper filled with Cinco Jotas delicacies. Enjoy a unique escape with a hamper filled with Cinco Jotas delicacies. 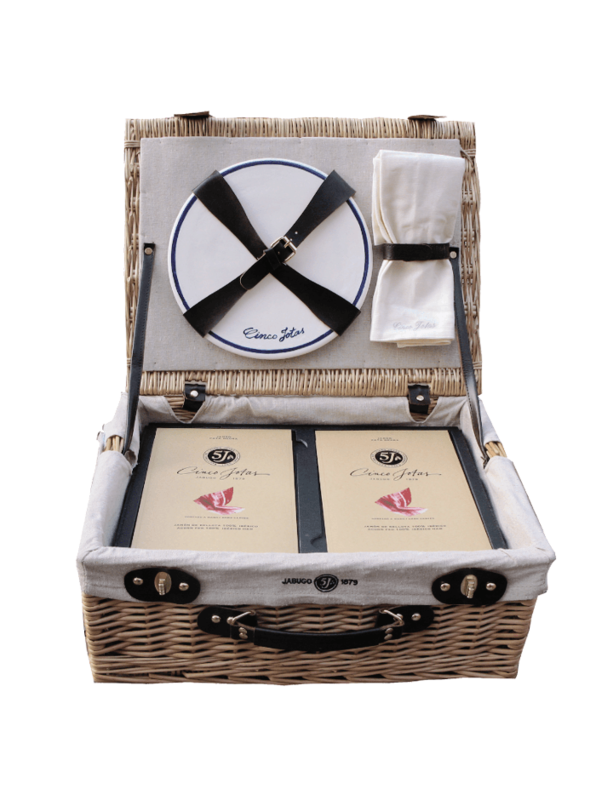 The Cinco Jotas hamper invites us to enjoy a gourmet picnic in the perfect way. A lovely wicker basket and matching linen napkin with a special serving dish. No luxury is spared in this Cinco Jotas experience to enjoy the best ham in the world, wherever you may be.